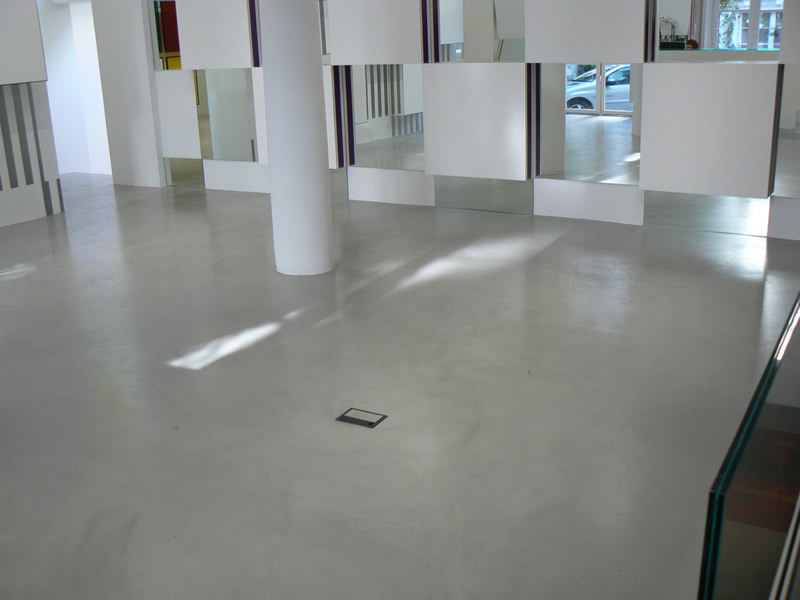 White Concrete Floors have almost unlimited commercial applications, from shops, to offices to factories. Self levelling overlays and personalized terrazzo mixes are more and more common in shops, small business and offices. Here a few examples. What are you looking for? 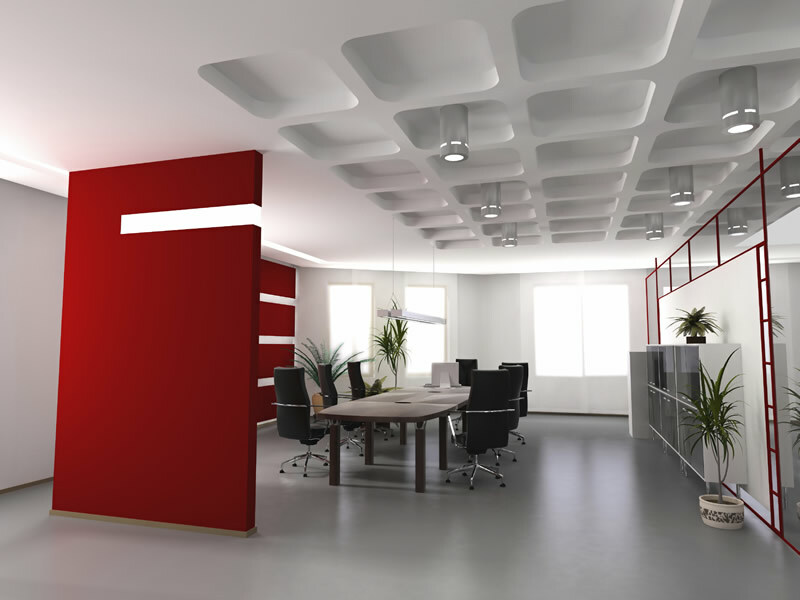 The possibilities are almost unlimited and your design can be totally customized. The examples here demonstrate some of the options. 1. A sports shop with light gray concrete with light gray stone mix has been used with stainless steel joints to create a decorative floor. 2. A light Gray Self-levelling overlay on a shop floor. 3. A Grey Self-levelling overlay at a hair dressing salon. 4. 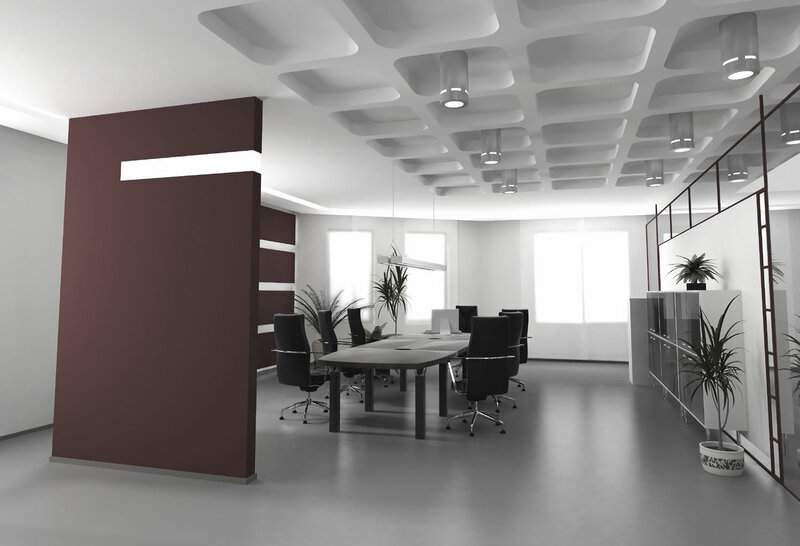 An office with Self-levelling grey overlay in the meeting room.